With more and more mums and dads considering working from home as a change of lifestyle or a more flexible work arrangement with an existing employer, we look at what strategies you may need to adopt in terms of child care to get anything done at all. And if you have a five year old you may be wondering why you are feeling like pulling your hair out. It's not just you. Five is officially the worst age for children, until of course they get to 12 or 13. Read all about it in our article, 'Forget the terrible twos. Here come the feral fives'. Lifestyle magazines and business pages seem to be full of the success stories of "Mumpreneurs" - highly successful women who have had babies and turned their home office or spare room into a money spinning success story of a business, while juggling babies and apparently having it all. But is working from home all it's cracked up to be? The truth is, no, it isn't. Don't think that by working from home you'll be able to get work and chores done effortlessly while your small child plays happily and quietly nearby. Working from home is hard. It requires discipline, patience, dedication, organisation and more often than not, child care. If you've got a child around the age of five, you may have noticed your voice pitch and volume getting higher and higher. Your tone is likely to have changed too (to a slightly irritated and cross), along with your level of patience; you find yourself sounding more and more exasperated and annoyed, and most likely counting down to that time when it's just about socially acceptable to have a glass of wine and almost time for bath and bed. According to a recent study, children are at their most challenging for their parents as they turn five. This is the time when children are going off to school or in the year before they start, and develop a voice of their own, "influential" friends, fierce determination, new found independence, tiredness, tantrums and other choice behaviour that drives you up the wall. 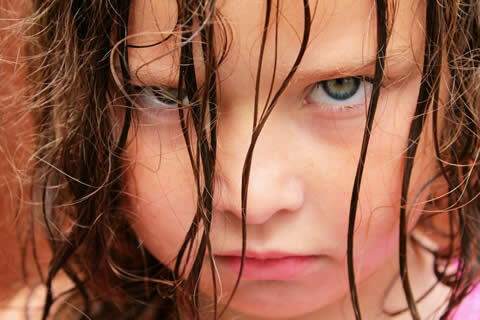 New, external influences of school, other children and their older siblings, answering back and refusal to do as they're told all add to the stress of dealing with a five year old. Need to know your child care options fast?